It's time to pick our top 10 box office performers of the summer! In this episode we also welcome our newest member of the collective, Micah Wooten! This episode was full of unexpected controversy where so many of us disagreed. It was awesome. Join in on the conversation and tell us where you think the summer movies will rank. Thank you all for listening and as always, we love you all! This is a fun episode! This week we dive into the life and times of Dan Aykroyd and John Belushi. From their beginnings on SNL to their movie careers and everything in between. Obviously we lost John too soon but He still gave us a few classic characters. Dan is still going strong and we can't wait to see everywhere his work takes us. Join in on the conversation and tell us your favorite moments and top movies. Lot of darkness involved, but with every dark there is a light and we try out best to shine the light on these two comedic geniuses. Thank you all for listening and as always, we love you all!!! We are live in Mount Juliet TN with WWE legend and Hall Of Famer, The Birdman Koko B Ware! This is such a fun episode where Koko talks about the origin of his nickname and talks all about his career as a professional wrestler, and a hero of our childhood. There might even be a surprise vocal sampling in there as well. Join us for this exciting episode and watch out for more shows coming to you in conjunction with Man Cave Inc., a new sports collectible store where you can find great autographed memorabilia, game cards and much, much more. Thank you all for listening and as always, we love you all! What a special way to start off the new year! Join us as we host special guests David Reed of Squared Circle Radio and The Midday 180 on 104.5 The Zone AND wrestling promoter and business insider whose career spans across three decades, Ricky O. of Man Cave Inc. This was so much fun talking wrestling with these guys who clearly share our love and passion for the business. Lots of cool stories and some really fascination insight to the past, present and future of wrestling. Stay with us to the end of this one as we announce a special event for those in and around the middle Tennessee area next Saturday, February 2nd. If your are a fan of any sport, you will want to be a part of this and we look forward to seeing everyone there. Thank you everyone for listening and as always, we love you all!! Join us for a conversation on how we spend the holiday season. We are looking forward to doing this show each year to see how traditions change. In this show we discuss our favorite things about the holidays and how Brian just LOOOOVESSSS Christmas music, LOL. Let us know all your favorite traditions for this time of year, even if they do not reflect our beliefs, we would love to hear from everyone. Thank you all for listening. Merry Christmas and as always we love you all!! Episode 21 - It’s All About Mel Brooks! Oh, we've been waiting for this one! Mel Brooks is the architect of our style of humor and we could not wait to talk about him in long form. We discuss so many aspects of this life and works and from time to time break out in song. You just can't help it when talking about Mel's movies. Join in with us as we dive into one of our greatest inspirations and have a ton of fun. Let us know you favorites and please be kind and help us remain PG, LOL!! Thank you for listening and as always, we love you all! We continue with the second in a series of Wrap-up episodes where they are less formal and more random. Anything and everything can be discussed as it's just things we feel we need to get out there and discuss based on things currently happening in the world of entertainment. Thank you all for listenting and we love you all!! It's time for a long form discussion on the Rocky movie series. This series is very special to us and it's now crossing over in to a new generation with the introduction of the Creed movies. Join us as we discuss out favorites and some general talk about boxing movies and the sport itself. You are also treated to Jim's incredibly awful impersonation of Rocky in the intro skit. It's pretty bad, LOL!!! Listen in and have some fun with us, and as alway, we love you all!!! This is our first in a series of Wrap-up episodes where they are less formal and more random. Anything and everything can be discussed as it's just things we feel we need to get out there and discuss based on things currently happening in the world of entertainment. Thank you all for listenting and we love you all!! 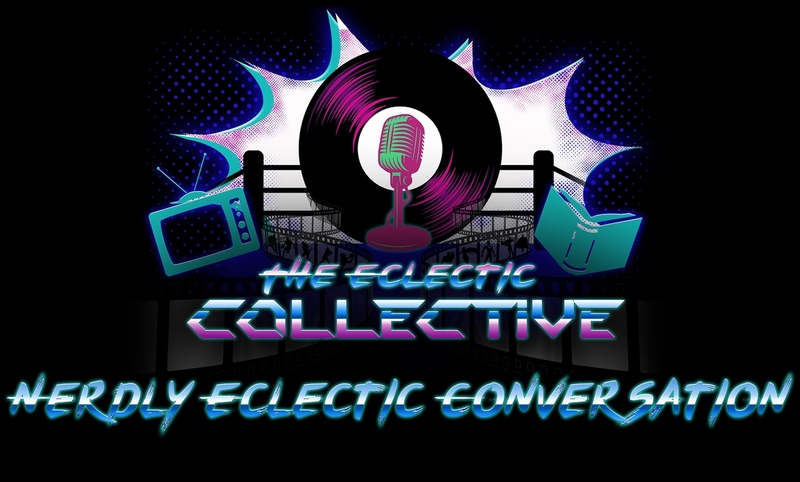 In this episode with sit down with a great wrestling talent, Kevin Zion and his esteemed manager (and wrestling enclyclopedia), Luck P. Join us and the Legion Of Lucky as we dive in to their carreers and talk about all things wrestling. This was a very exciting episode for us and look forward to having these two on again. Message us on Facebook and let us know your favorite wreslting moments, either televised or local. We love it all, and as always, we love you all!!! In this episode we laugh at all the humor from military comedies. We discuss favorite movies, tvs shows and Tom Selleck's mustache!! If you listen, you'll get the reference.....trust me. We had such fun with this episode. We hope you will join in with the converstaion on Facebook and tell us your favs. Thank you all for listening and we love you all! Holster your remotes and pull the trigger on this episode! We talk about movie and TV cops from the 60's to today. What are your favortie cop heros? Favorite villains? Join in on the converstaion as we go in to all of our favorite police stories and throw in a little trivia for some fun. Thank you all for listening and please give us a rating! Episode 7 - Fly ball………..caught. Hello there wahoo maniacs!! It’s time for episode 7 titled “ fly ball........caught”. We talk all things sports including movies, real sports and sports concerns. There are even moments when we reminisce about the sports we played or dreamed about playing as kids. You can definitely pick out the jocks and dorks in this episode. Listen in and have some fun. Please give us a rating and as always, we love you and thank you for listening! This week we dive in to the world of the Mafia and organized crime. We discuss our favorite movies, characters and have some fun debating which elements are more terrifying. Along the way we discover new shows and movies we need to watch and rediscover ones we forgot about. We also throw out a couple of useless information nuggets that are interesting. Join in on the discussion by commenting on our Episode 5 Facebook post and leave us a review! And as always, thank you for listening. We appreciate you all!